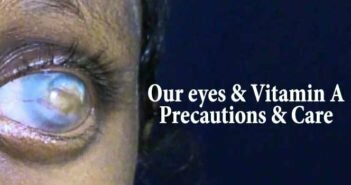 Save Eyes from Injuries – Know How & Precautions. As we all know precaution is better then cure, when we talk about Eye related issues, it become more important as 70 to 80 percent blindness is avoidable. In other term 70 to 80 percent people become blind just because of lack of resources and proper knowledge. Here we will give you some tips to save eyes form injuries. We can save our eyes from almost 80 to 90 percent eyes injuries. Be careful while using pointed objects used in routine life like pointed or sharp toys, knife, needle and scissors, and children should handle them under proper guidance. While using spray and or spraying any chemicals, be sure that the opening side should be opposite side of your eyes. Before using the detergent or other harmful chemical substances, carefully read the instructions given over it and wash your hands after the use. Objects like bow-arrow or pistol should be carefully handled. Keep proper arrangement of light in computer room. The person using computer should keep the monitor (computer screen) at proper distance. Monitor should be placed lower from eye level. To save eyes from variations of brightness and images, always work in computer in proper light arrangement. While working, blink eyes many times so that eyes remain moist and can avoid dryness. Always burst crackers under the guidance of elder ones, don’t remain standing near the burning crackers. Avoid the use of chemical colors for celebrating holi or other occasions, prefer to use natural colors. Don’t apply the colors forcefully on others and always be careful that colors should not be applied near eyes. 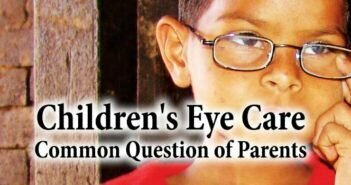 In case, if eyes are affected with any harmful chemical substance, wash the eyes properly with fresh water, and the problem continues even washing eyes, consult eye specialist. If the foreign body is not coming out easily, immediately contact eye specialist. Immediately contact or consult eye specialist on detecting any type of diseases or symptoms in eyes. Never try to put any type of eye drop in your eyes like self medication. 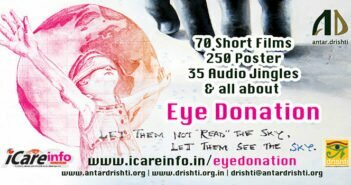 Eyes are very important for all of us, Save Eyes from Injuries. Next Article Glaucoma Quiz – How much you know about Glaucoma?